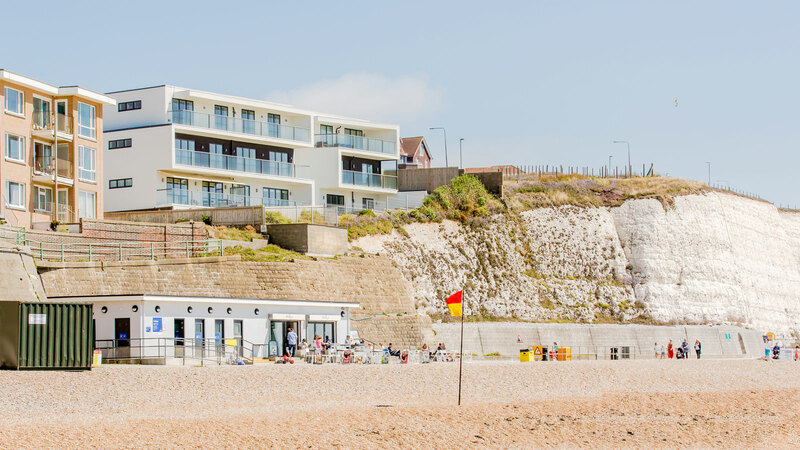 Azure, Rottingdean features nine new luxury apartments designed as a contemporary take on the piano nobile device used widely on the south coast. 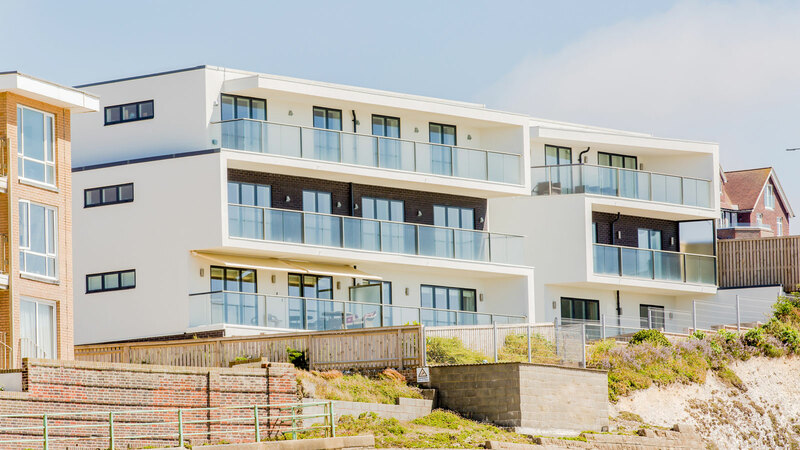 The apartments have terraces and balconies overlooking the seafront, undercroft car parking for all residents and a landscaped communal cliff top garden. 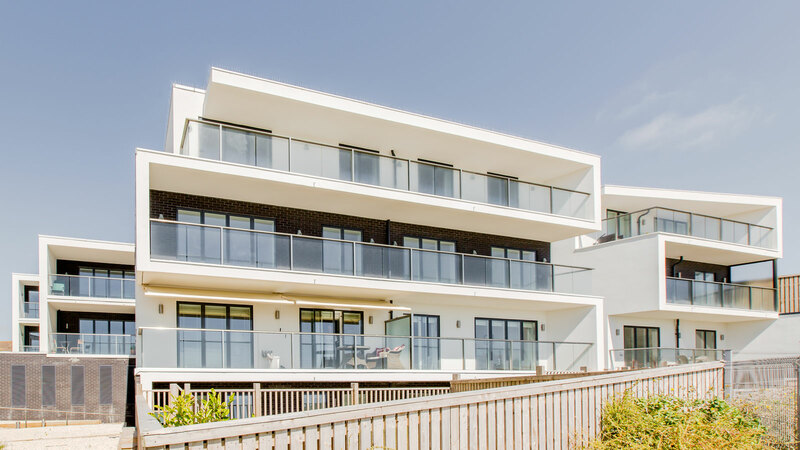 The building has a series of horizontal layers and striking staggered balconies that maintain privacy and reduce the apparent mass of the development. 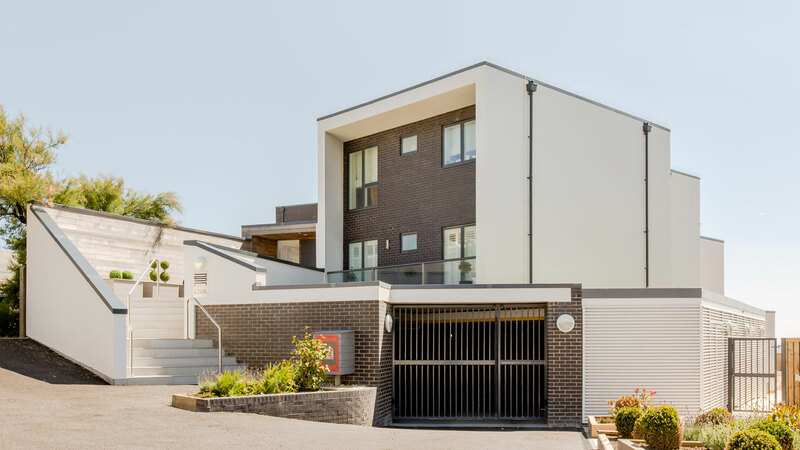 The scheme goes beyond Sustainable Homes Code Level 3.